Odisha is known as the 'Land of Jagannath'. Lord Jagannath is the presiding deity of Odisha. He is the family god in most Odia households. 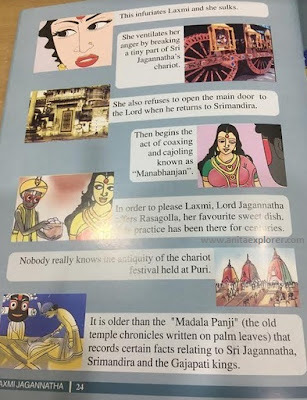 Lord Jagannath has a unique place in Odisha's history and Odia customs. But, He is not restricted to Odisha or India alone. He is everyone's God. The word 'Jagannath' means- 'Lord of the Universe'. Lord Jagannath is the friend, philosopher and guide of the people of the entire Universe. The culture of Odisha means Jagannath culture i.e. 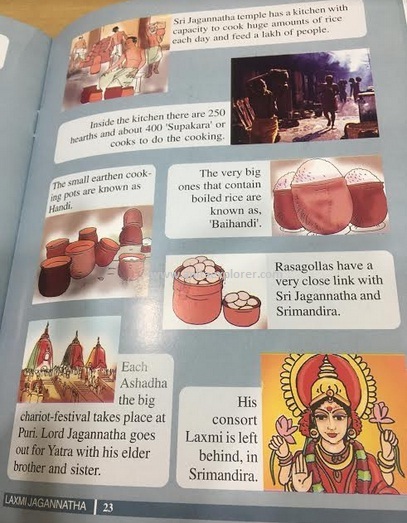 the culture of Jagannath - a unique embodiment of various faiths, religions, cultures and ideologies. The Shree Jagannath Temple, Puri, is mentioned in many ancient Sanskrit texts, such as the 'Padma Purana', 'Matsya Purana', 'Narada Purana' etc. In Odia, 'Purana' refers to 'holy book'. The cult of Lord Jagannath advocates that people of all castes have the right to worship God and read scriptures. Lord Jagannath's wife, Goddess Laxmi, is very powerful. Maa Laxmi is the 'Goddess of Wealth'. She upholds justice and equality. She is against casteism and appreciates and rewards devotion. 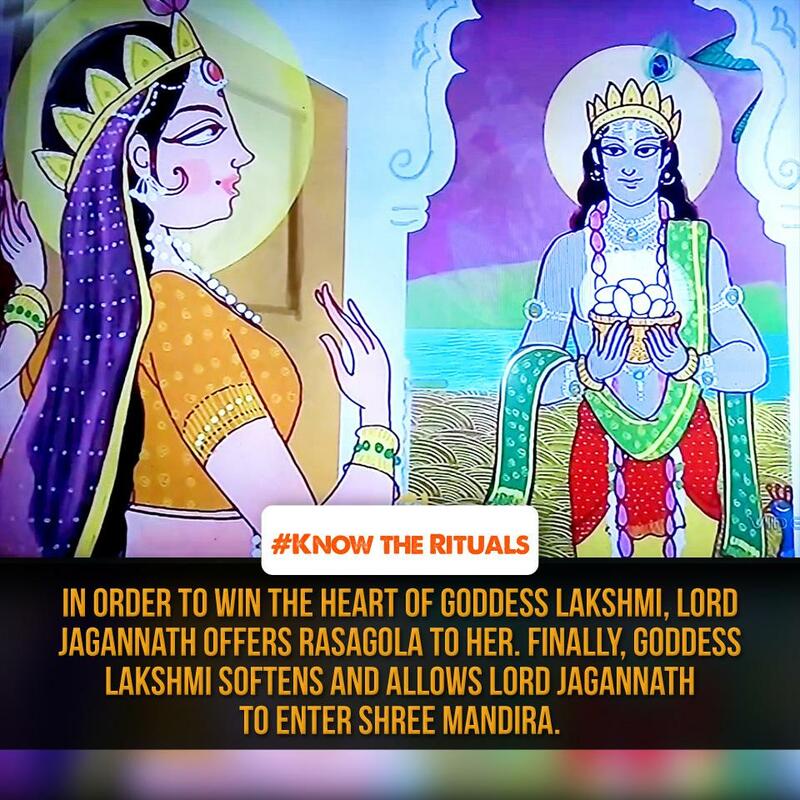 A story linked to Jagannath and Laxmi has been shared at the end of this post. Lord Jagannath Temple at Puri is widely referred as- 'Shree Mandira' or 'Sri Mandira' i.e. the Temple of Mahalaxmi. 'Shree/Sri' means 'Laxmi' and 'Mandira' means Temple. 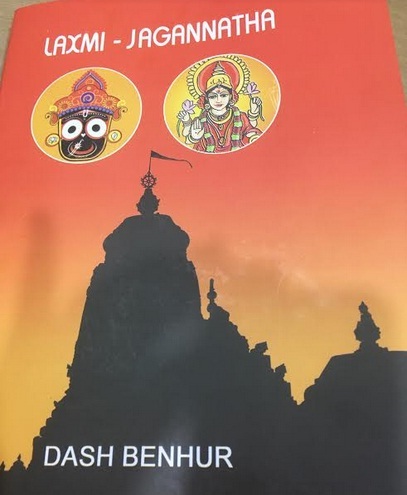 'Laxmi Purana' is a holy book in Odia that is followed by Odia families even today. Irrespective of their castes, Odia families worship Goddess Laxmi in all the Thursdays of the lunar month of Margasira'. Laxmi Purana has many tales about Goddess Laxmi and Lord Jagannath. Goddess Laxmi is upset as Lord Jagannath goes for His annual outing, the Ratha Jatra, along with His siblings without taking Her with Him. 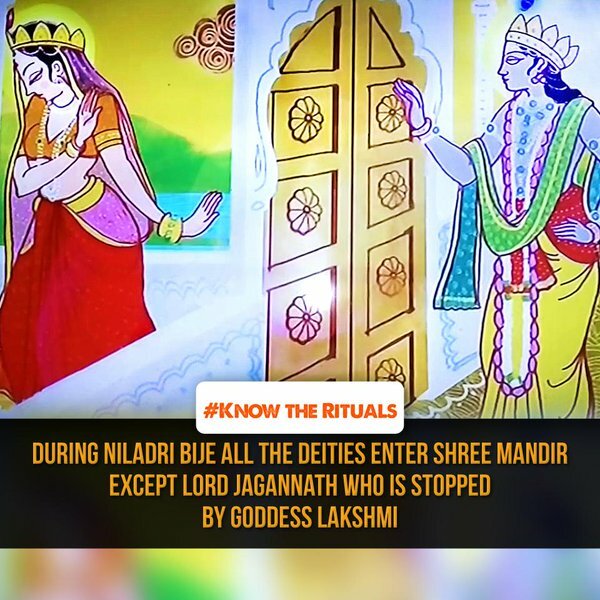 Goddess Laxmi does not open the Shree Mandira main door for Lord Jagannath after He returns from Ratha Jatra. To appease Goddess Laxmi, Lord Jagannath offers her a sweet-dish named Rasagola. Rasagola works its magic! Lord Jagannath is then allowed to enter. These rituals have been religiously followed ever since the Shree Mandira was built in the 12th Century. 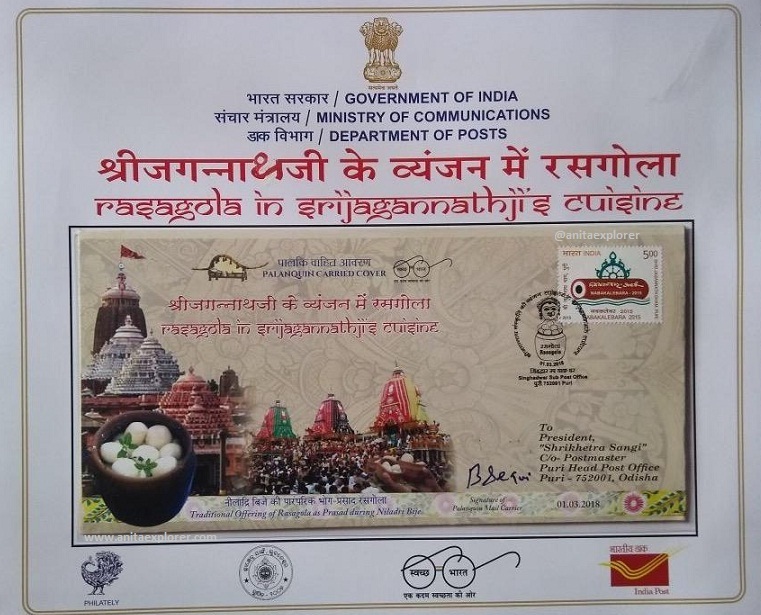 In March 2018, the Department of Posts released a special postal cover about 'Rasagola in SriJagannathji's Cuisine' in Puri, Odisha. Laxmi and Jagannath occupy a special place in every devotee's heart and mind. Post for my second #atozchallenge. J for Jagannath, Jagabandhu. I am sharing some glimpses from Odisha. Do keep reading and discovering!